The supercontinent Pangea is at its widest. The ice age ends and the climate begins to warm. 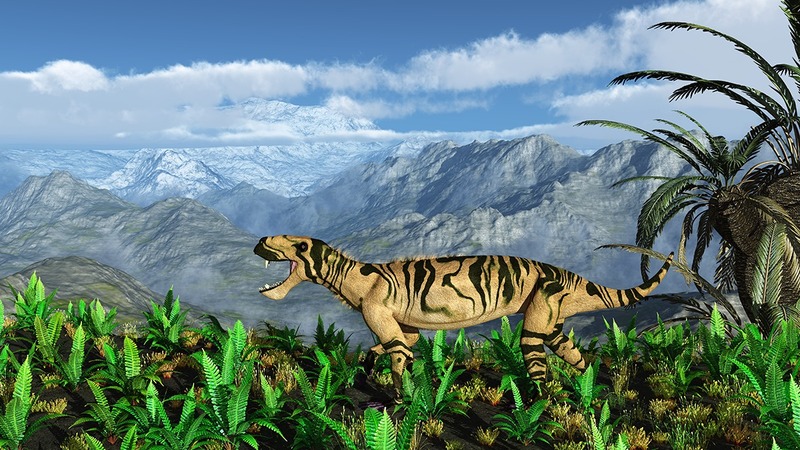 Conifers and ’proto-mammals’ or Synapsids DiVERSiFY. Climate of the supercontinent Pangea was dry and cool at the early Permian. An ice age ended and the climate started to warm. At the late Permian shallow inland seas evaporated to into huge mountain of salt deposits. The dry climate favored the conifers, Which spreaded. Reptiles and ’proto-mammals’ or Synapsids were better adapted to land life than the Amphibians. This was based on Their thick skin and keratinous, Solely breathing with lungs, internal fertilization, and durable, dry-resistant eggs. At the Permian dry climate, Synapids diversified and dominated the terrestrial life. Sometimes in Synapsides popular culture, such as Dimetrodon with large back sail, are confused with dinosaurs, but in a fact they are much more closely related to mammals than to any reptile. In the end of the Permian, about 252 million years ago, The Biggest occured extinction event since oxygen revolution. 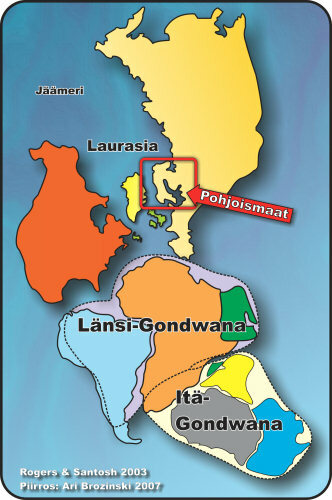 The latest supercontinent, Pangea forms as Gondwana and Laurasia combine. As Gondwana and Laurasia collide, the Ural Mountains form. Pangea The word comes from Greek meaning ’the entire Earth’. Pangea is surrounded by an ocean, Panthalassa (the entire sea), Which later becomes the Pacific Ocean. The Pangea landmass Nearly stretch from pole to pole, being 15 000 kilometers long and 6 kilometers wide 000. The latest supercontinent, the Pangea, at its largest configuration. The current continents are fairly Already Clearly distinguishable. Pangea is so large, its internal That climate and topography vary greatly. The coasts has tropical forests surrounded by tall mountains, inland are large deserted areas, and the polar regions have arctic conditions. The supercontinent is in constant change, with mountains forming in the east, while the continents are drifting away from each other in the west. Parts of Pangea never attach to the continent. For example, the east is made up of islands, Which later combine to form parts of China and south-eastern Asia. Pangea is at its largest between 300 – 230 million years ago, is depending how it is calculated. Pangea starts to break up soon after achieving its largest size.